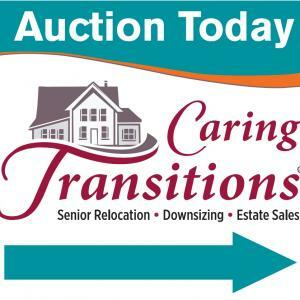 Caring Transitions of Charleston is the Professional Solution for relocation services including downsizing, decluttering, & estate sales for both full and partial liquidations. Regardless of the situation, planned or unexpected, the loss of a loved one or the need to relocate someone can be challenging. The physical challenges and emotional strains can be overwhelming enough, without the added stress of life’s unexpected events. Caring Transitions of Charleston offers a streamlined support system to help facilitate a less stressful transition, taking care of the details so you can take care of yourself or a loved one. This estate Sale features Jewelry galore including silver, gold and costume jewelry, Pro-Form workout equipment, artwork, kitchen items, home decor, and so much more!!! This estate sale features vintage furniture, rugs galore, elegant lamps, patio furniture, outdoor stoned decorations, a Ducan gas grill, beautiful artwork, and so much more. This online auction features a beautiful 10k Rectangular Blue Stone ring, 14k purple oval stone ring, 14k CZ ring, 14k ring with 4 colored stones, earrings and pins and more!! This estate sale features a beautiful Chandler, vintage wooden bedroom furniture, leisure patio furniture galore, elegant living room furniture, mirrors, miscellaneous chairs, and so much more! This 5.4 L V8 2003 Ford Heritage Edition has 228,000 miles and includes a ladder rack. This truck was used as a work vehicle and has the wear of such. All Sales are Final and vehicle is sold AS IS. This online auction features a great selection of prints, dinnerware, crystal, vintage furniture, St. Louis Cardinals memorabilia, home decor, tools, and so much more!! This company has posted a total of 180 estate sales. Only the most recent 50 sales are shown. Many thanks! I hope we have an occasion to use you in the future. High quality work! After two years of my belongings resting in storage, I needed help unloading, opening, and placing my items. Brian and Mary were the most organized, efficient, and pleasant people to work with. They were filled with gentle kindness. I don't think a day has gone by since our move last month when I have not raved about how wonderful Brian Murray and his business Caring Transitions were to my husband and me. From the moment we first met with Brian to have him explain their array of services, until the last item was unpacked in our new home, Brian did his utmost to relieve my anxiety and tell me "Do Not Stress!" It is the people who make Caring Transitions the special treasure that they are. They instill their "caring" demeanor toward their clients in every service they provide. It is with great pleasure that I write these words and highly recommend Caring Transitions to anyone, senior or otherwise, that is facing relocation. Brian and Mary Murray are more than excellently skilled organizers and relocation experts; they are the most compassionate and genuine people you will ever know. They have been with me every step of the way, relieving my concerns and worries every time. I can't say enough good things about Brian, Mary and all the reliable resources they brought to my move. I'm so glad my family and I found such a remarkable company and I highly recommend them to anyone needing help during a difficult transition. Yes, they really do care! Brian and Mary Murray assisted our adult, single daughter in making an intra state move. Their skills at downsizing, decluttering, organizing and packing were nothing short of amazing. They even circumvented a last minute crisis by assisting her in obtaining an important legal document from the local court. We especially appreciated their vetting of moving companies for us. They conducted the organizing and packing sessions with great sensitivity so that our daughter never felt pressured. This came as close as you can get to the perfect move. Thanks, Brian and Mary.